Madeira, one of Europe's most beautiful island destinations, offers an all-year-round summer climate and wonderful flora and fauna. In addition, it is one of the safest locations in the world and offers a culturally-rich and healthy lifestyle, boasting a lively nightlife, international restaurants, spectacular seascapes, a clear blue ocean with towering cliffs, as well as quiet valleys and serene parks. The natural beauty, temperate climate, unique waterfalls and mountain sports, hand in hand with its popular festivals, local traditions, cultural and culinary highlights, make Madeira a multi-faceted destination. Feel the energy flowing from the cosmopolitan ambiance of Funchal, admire the breathtaking landscapes or enjoy a traditional gastronomic delicacy. For the more energetic and adventurous amongst its inhabitants, there is scuba-diving, surfing, windsurfing or jet-skiing. 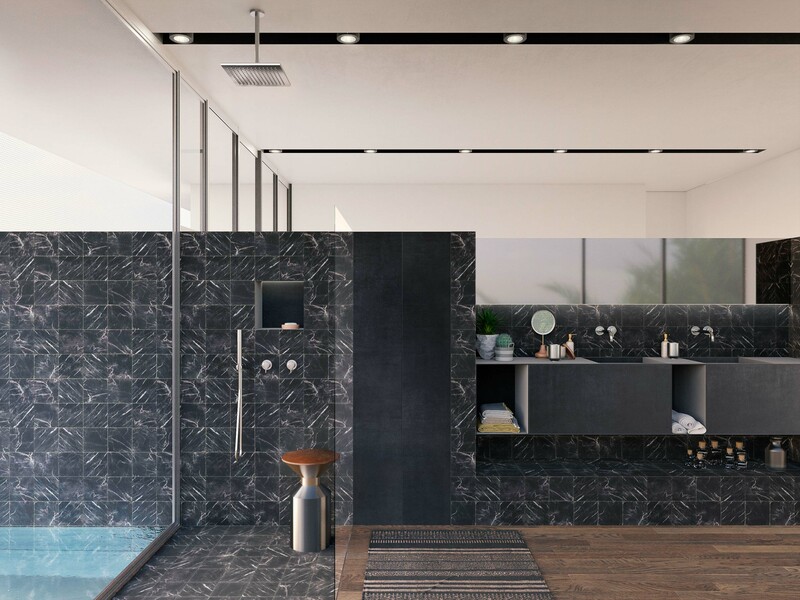 Our project SAUDADEL offers you with the opportunity to be the owner of your very own shining beacon that you can call home, all at the height of luxury, and in an environment that is second to none. 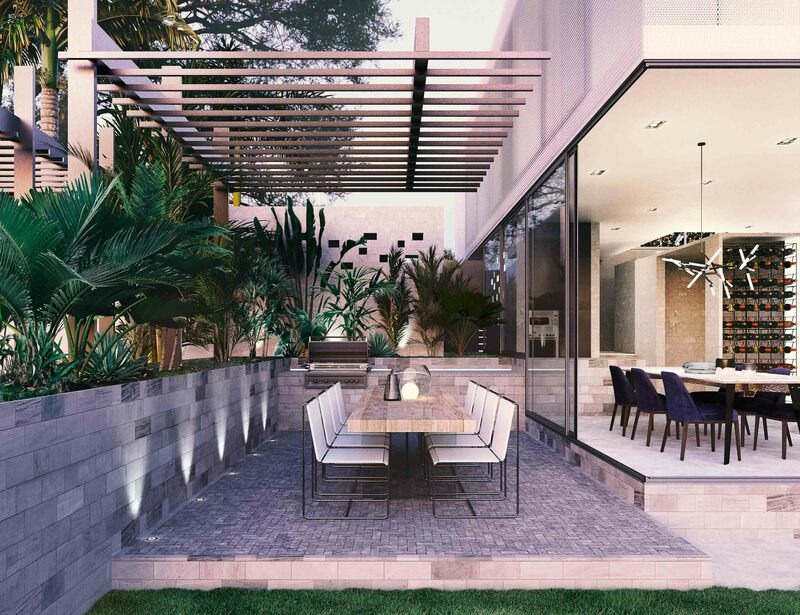 Saudade is a contemporary collection of six, 3-bedroom luxurious houses where owners can privately enjoy their own slice of paradise. An amazing 60% of Madeira is a unique nature reserve with UNESCO World Heritage status. With a lush subtropical feel and many dramatic mountain and levada walks, nature is all around and never far away. The island has unique and abundant flowers, earning a deserved reputation as a gardener's paradise. Madeira was discovered by the Portuguese in 1419 and the islands were uninhabited, despite being only 280 miles from Africa. The first settlement was between 1420 and 1425, and the island was named Madeira in 1433. 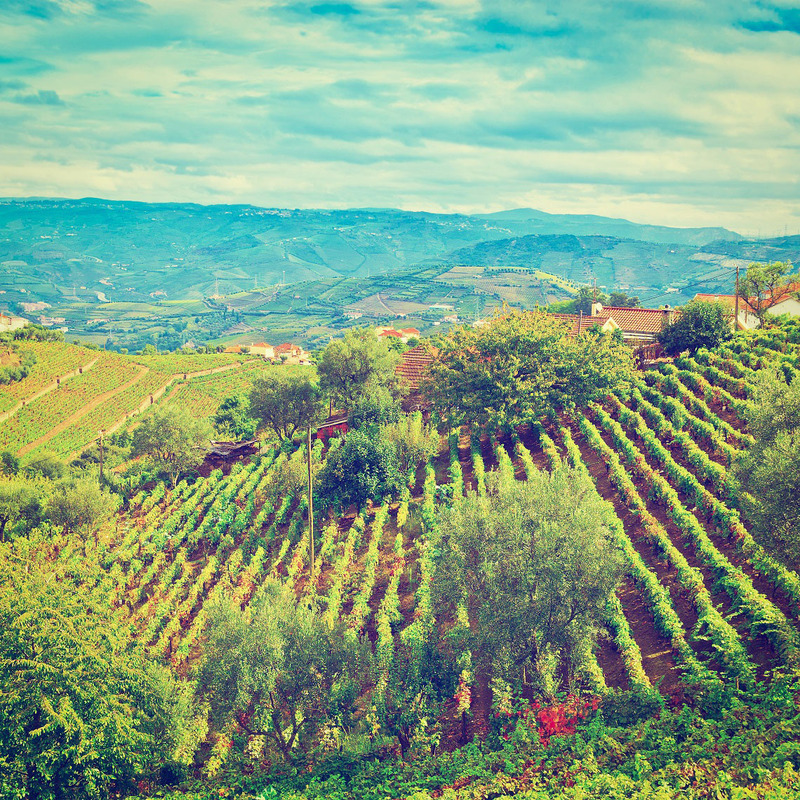 Madeira, due to its quite exceptional year-round subtropical temperatures, was ideal for growing sugar cane and the island made a fortune in the then 'white gold', which was later to be replaced by the rather more sophisticated Madeira wine industry. 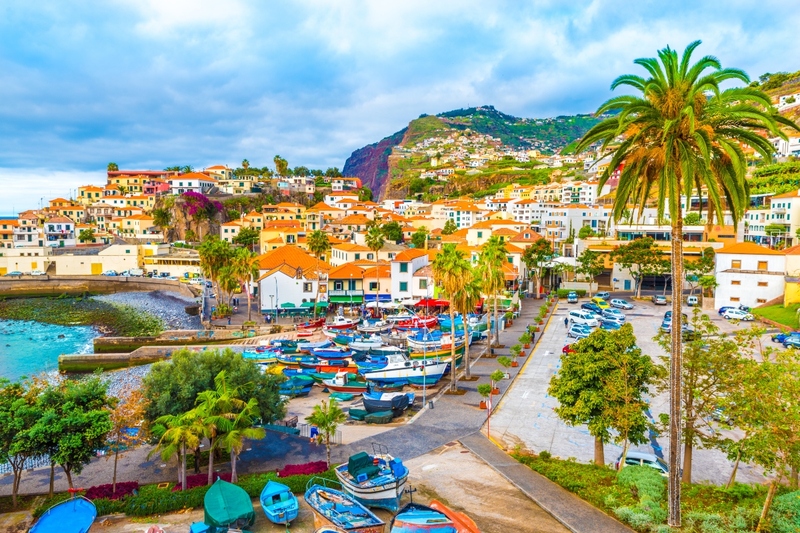 Today, Madeira, with its Portuguese influence and friendly people, is a growing destination for those searching for a quiet and safe escape in the sun, to either call home or to have a year-round island getaway. 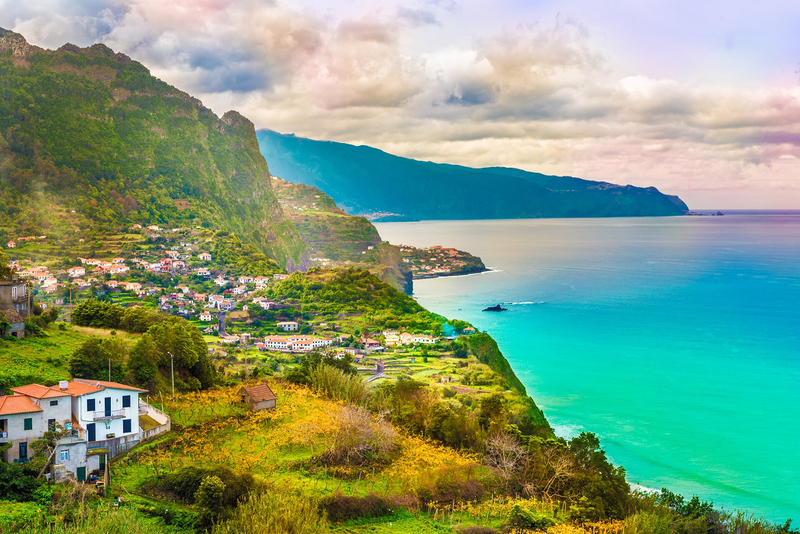 Madeira is an especially charming all-year island, where average temperatures range from 18 degrees in February to 27 degrees in August, making it a leading destination for winter sun. The island is served by direct European flights all year round from airports throughout the UK, Spain, France and Germany. The cosmopolitan capital of Funchal is graced with a vast number of diverse restaurants, coffee bars and modern shopping centres, and, unlike many destinations, the vast array of restaurants are open all year round, ensuring an excellent lifestyle. 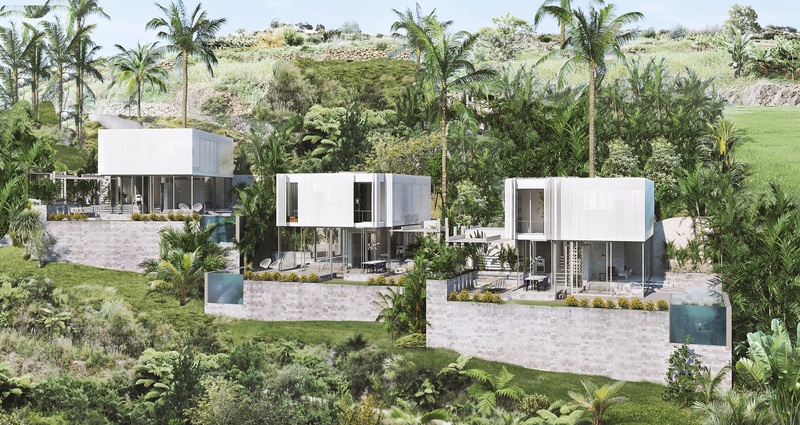 Saudade is Immersed on the sea front cliffs facing the sea with stunning views of nature at its best in suburb of Ponta Do Sol and Ribeira Brava. Also known as the hottest part of the island. 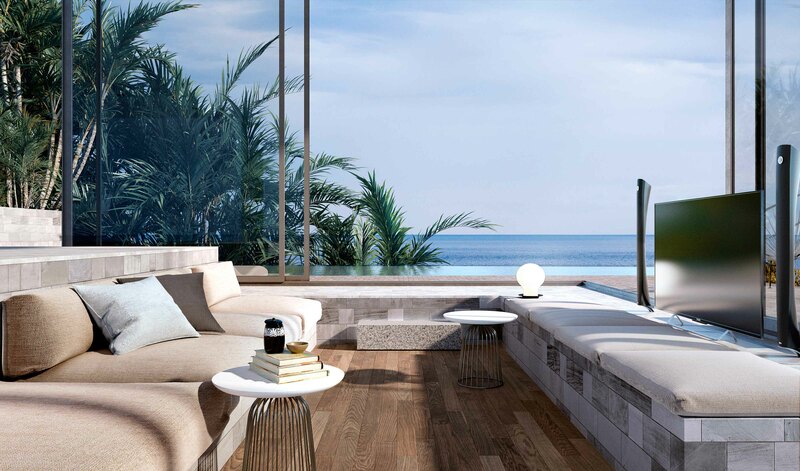 The Prometheus projects were crafted with a vision of giving you a shining beacon to call home. Madeira lies in the heart of the North Atlantic Ocean, abundant in rugged cliffs, magnificent waterfalls and endless opportunities for invigorating adventure. 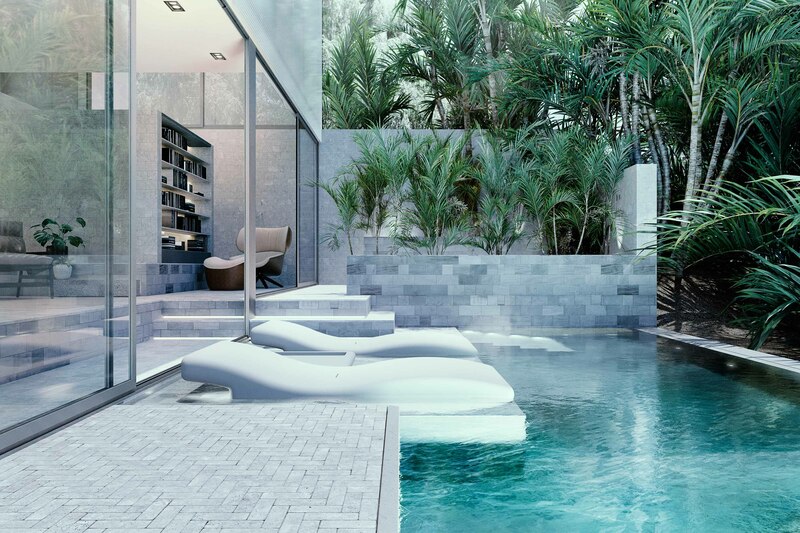 That is why we created 5* luxurious homes to match the environment. The Ponta Do Sol and Ribeira Brava area is highly sought after, thanks to its stunning, pristine nature and views, bustling lifestyle, highly developed communities and unspoilt scenery. 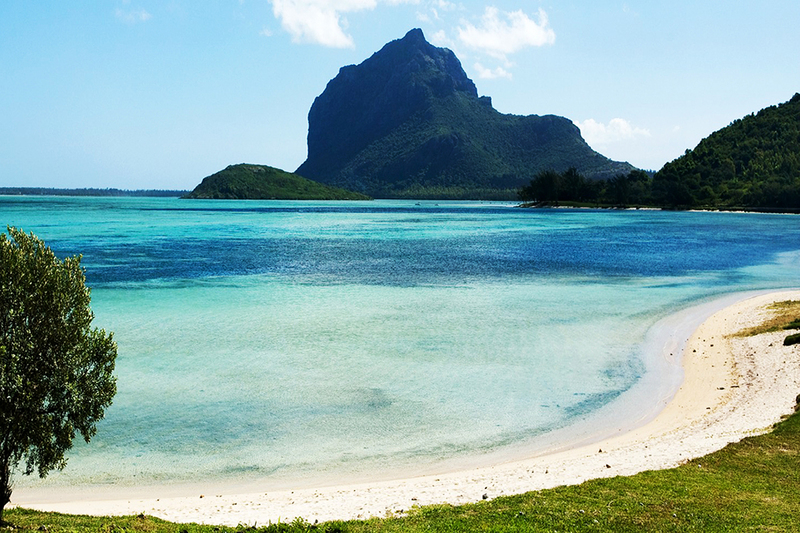 All of this makes for not only a great destination, but a sound investment too. Saudade is situated amidst immaculate surroundings at the heart of Ponta Do Sol and Ribeira Brava, very close to the capital city Funchal, with exttraordinary sea views and water ideal for swimming and water sports purposes. Lunch on the coast: Enjoy a vast selection of chic restaurants; the perfect way to relax and indulge. Sailing: Cruises, sunsets, fishing, Barbeques... the list is endless, Madeira provides a great environment to make a fun splash with water activities. Tourism Boom: The southern area of Madeira was the first area of the island to fully experience the rewards of a boost in tourism, with endless shopping and recreation opportunities, including bars, discos and casinos. Surfing: Madeira is considered as excellent opportunity for Wind Surfing enthusiasts. One of the main attractions when deciding to settle in Madeira is the great lifestyle and the quality of life experienced. 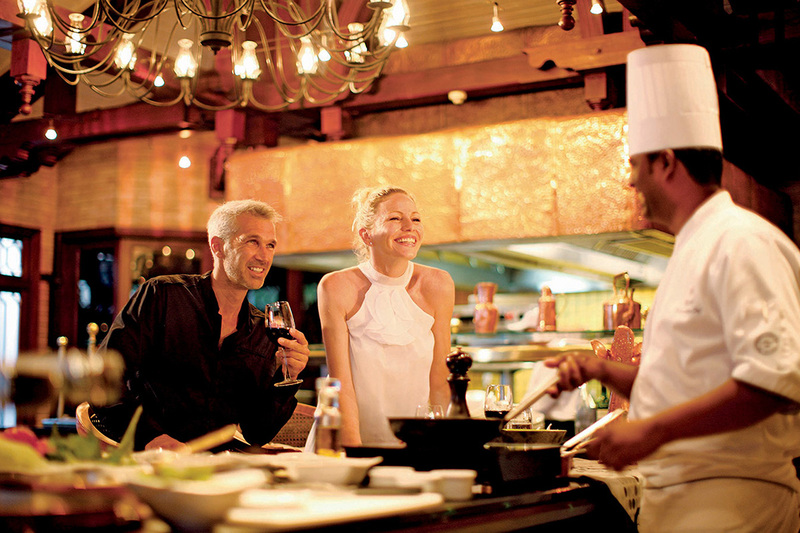 Madeira has a constant ageless and alluring charm, with over 1000 restaurants open all year. The gastronomic quality and value is considered excellent, with the cost of the lifestyle being less than the UK. Funchal has 3 main shopping centres with major international brands present, as well as theatres, cinemas, and many art galleries and museums to also enjoy all year round. Madeira also has an excellent orchestra. 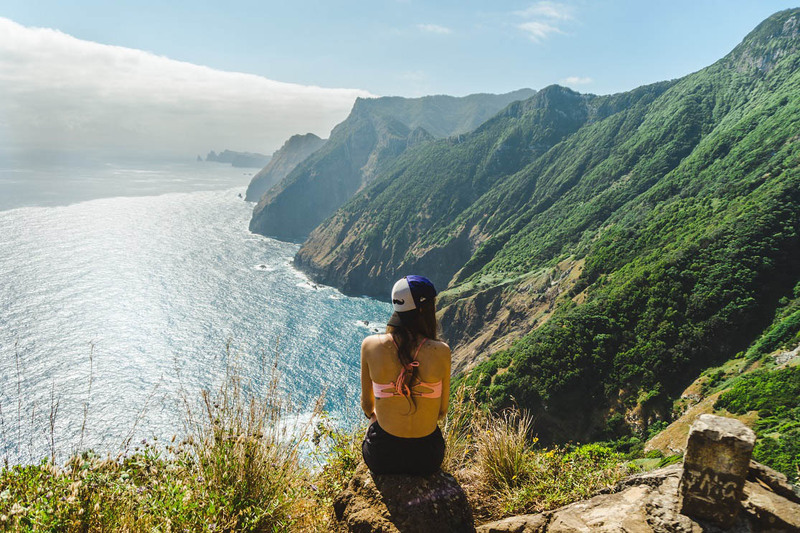 Climate: Without question, Madeira has an exceptional all-year climate ranging from February averages of 18 degrees to August highs of 27 degrees, with a constant fine average temperature of 23 degrees. Often described as the Atlantic Pearl, the island has a fine reputation as Europe's leading island resort destination and is much loved by those who live on or visit the beautiful island. Flora of Madeira: A good part of Madeira's inescapable charm is its reputation for its beautiful gardens and flora. Over 60% of Madeira is a mountainous nature reserve with UNESCO World Heritage status. Walking in the lush Madeira mountains and the unique levada waterways is a tremendous experience and boasts some of the best views anywhere. Rich and diverse, Madeira has over 2000 miles of plentiful walks to be explored. Safety:	Madeira and its islands are extremely safe and secure, with the lowest crime rate per capita in Europe. Madeira has 15 local police stations. The Local People:	Discovered in 1419 by Portuguese explorers blown off course, the islands were uninhabited and densely wooded. 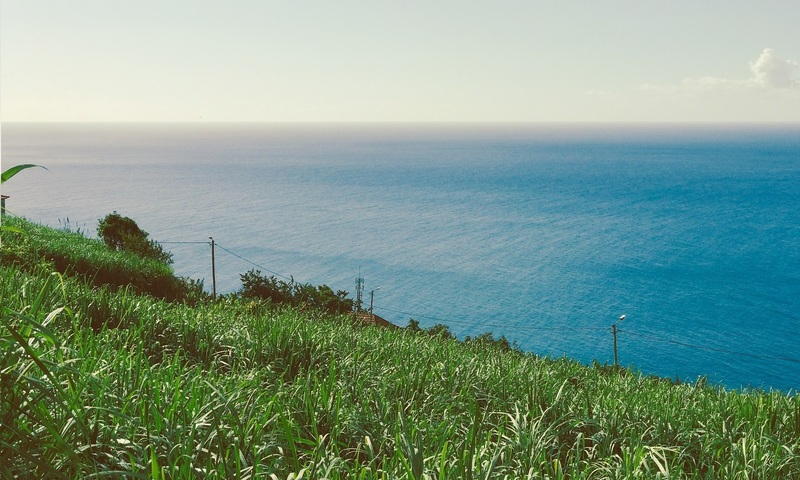 Being sub-tropical, they were soon producing large harvests of sugar cane, leading Madeira to became the world's largest sugar producer, until this was replaced in the 17th century by the Madeira wine industry. 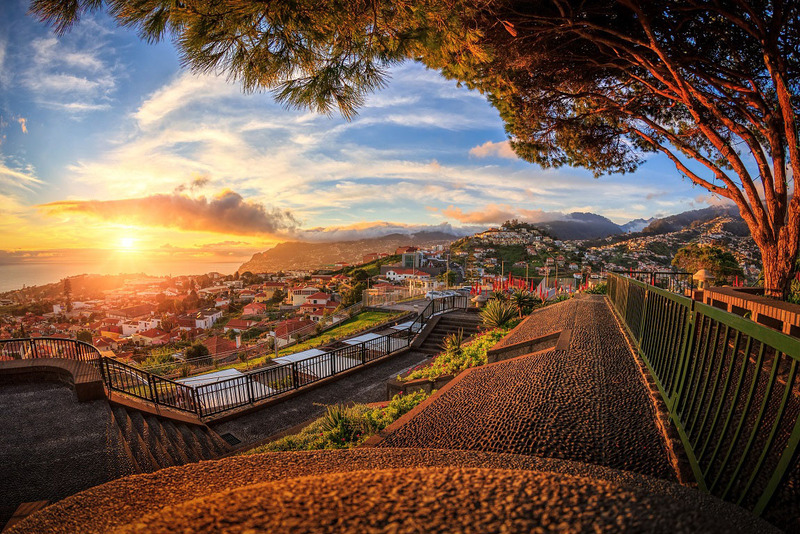 Today, Madeira is autonomous and follows Lisbon as the second highest income area in Portugal. The locals are well-educated, speak excellent English and will make you feel very welcome in your new lifestyle. Living in Madeira: Madeira has excellent opportunities with hotels and nature activities tied to tourism. Madeira is also an excellent place to relocate a business from the UK with a specially-advantaged international free trade zone and good tax incentives. A large income growth area is high quality short-term holiday rentals, which offer complete year-round income and provide excellent returns. Madeira Airport:	The airport is served by almost 200 flights a week and enjoys over 30 flights a week from the UK. Flights are good value for money and are at various times of the day. The flight time is less than 4 hours from the UK. There are also many daily flights to Lisbon and Porto. A ferry will soon offer a link from Portugal, too. Healthcare: There are 3 hospitals and over 25 health centres or surgeries located in various parts of the island. Madeira also has the 4th highest doctor to patient ratio in Europe, with over 1200 doctors serving around 250,000 residents. 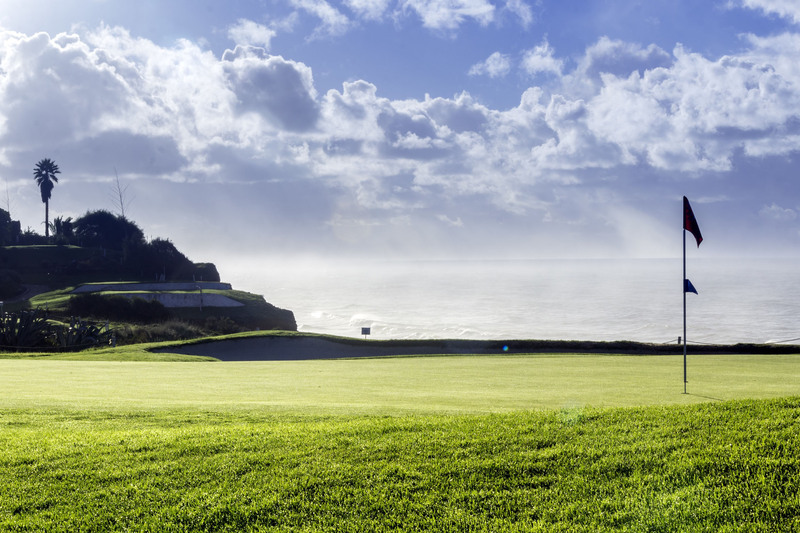 Palheiro GOLF COURSE IS JUST 25-MINUTE DRIVE FROM SAUDADE.MADEIRA. Madeira Islands offer 3 world-class golf courses: Santo da Serra Golf Course (host of the Madeira Open from the PGA tour), the amazing Porto Santo Golf Course and the Palheiro Golf Course.Discover a choice of exciting, challenging, world-class championship golf courses with spectacular sea views and beautiful, natural settings in the perfect sporting climate. The privilege of a free 2-Year membership to one of our chosen partner golf courses is available if you sign up to Club.Prometheus property management after construction. Just let us know where you would like a golf membership and we will do the rest. 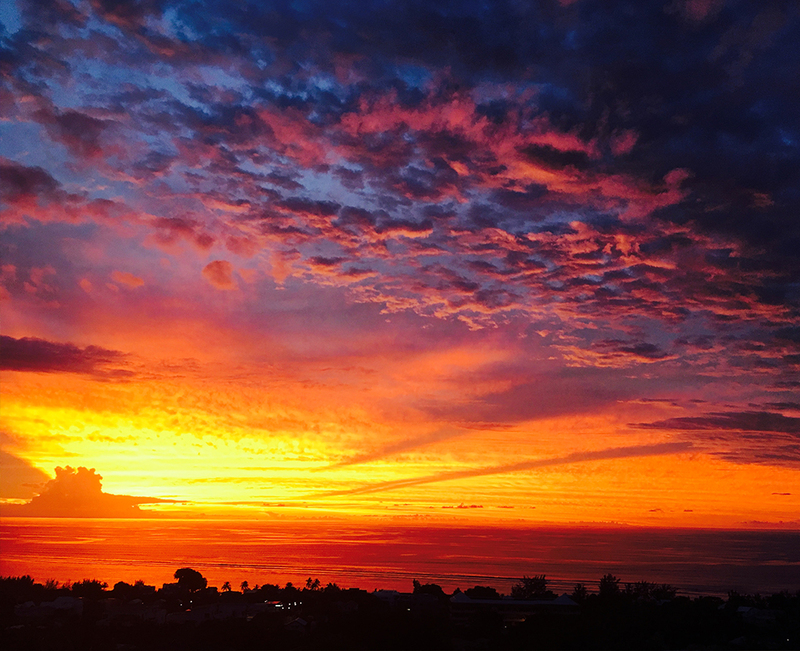 Not a day goes by where spectacular sunsets don’t occur, with shooting stars and the entire galaxy showing itself above your head - every night! Living in Madeira offers you a truly unique experience to live through a different set of eyes – once you never could have imagined existed. 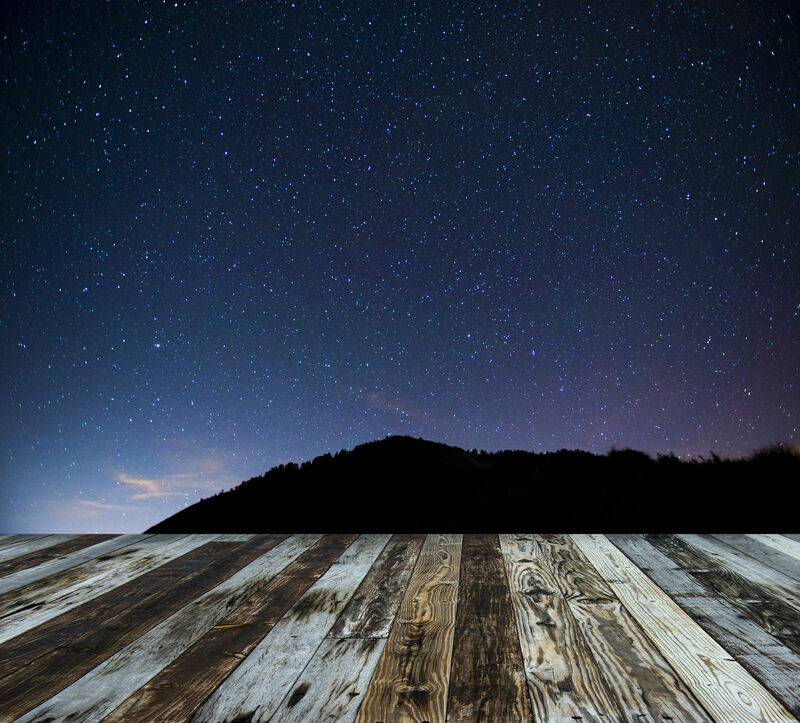 SAUDADE.MADEIRA Homes have sky decks on the front, ideal for sun lounging and star gazing. An infinity pool seals the deal, allowing you to watch every breath-taking sunset – day after day. Application is shortly lodged with the municipality for building approval. Prometheus begins necessary legal arrangements for construction planning. Background preparation for the next phase of approvals for building. Prometheus begins extensive work to issue tenders, approvals from various ministries such as land use, environmental and others. We anticipate this to occur within 12 months of marketing and once achieved, we apply for final approval from the Bank to begin construction. Start construction and applications for Golden Visa started. We confirm the development and begin planing to start construction. We are wrong away, diligently implementing our business plan. 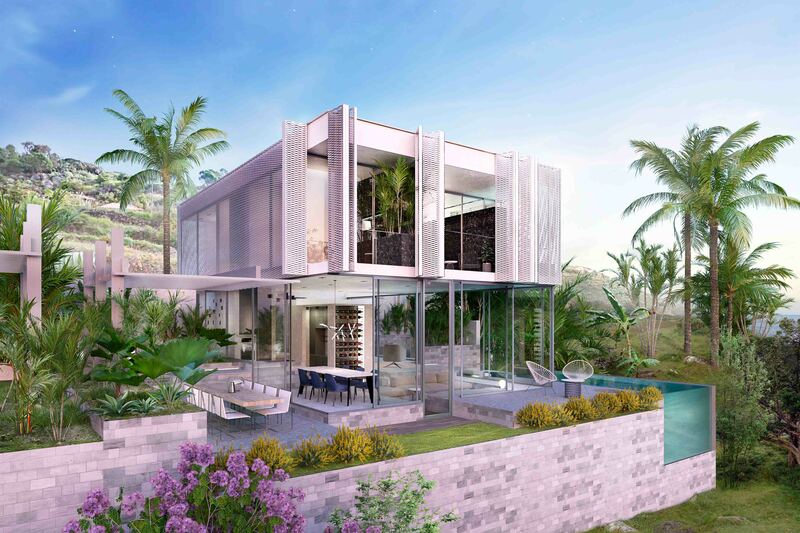 In the next 12 months, this project will go from a grassland to a full blown Utopia with state-of-the-art modern, luxurious and contemporary homes.